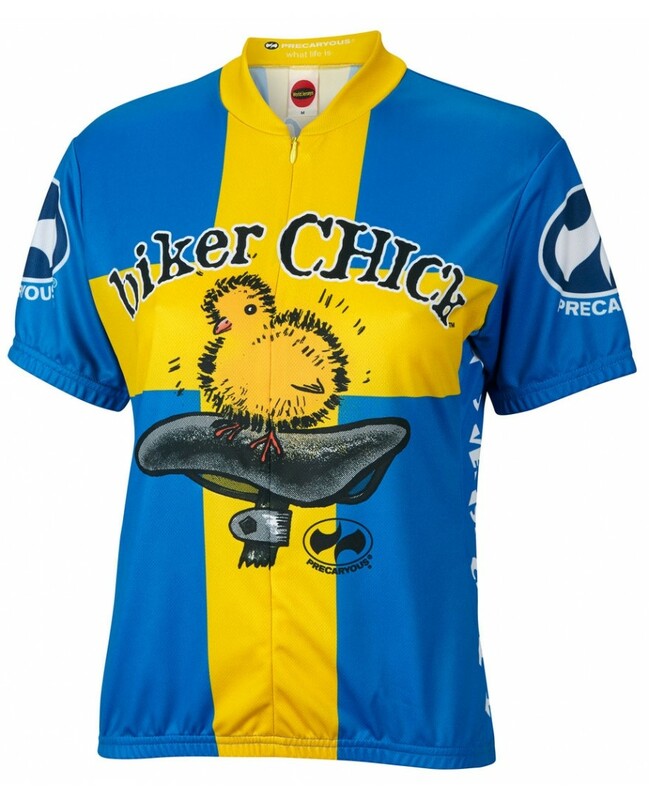 The Swedish Chick Womens jersey. Brought to you by the folks that produced the hot selling Biker Chick jerseys. This jersey takes the classic biker chick design and mixes it up a little. Bringing bright colors that are sure to get you noticed! 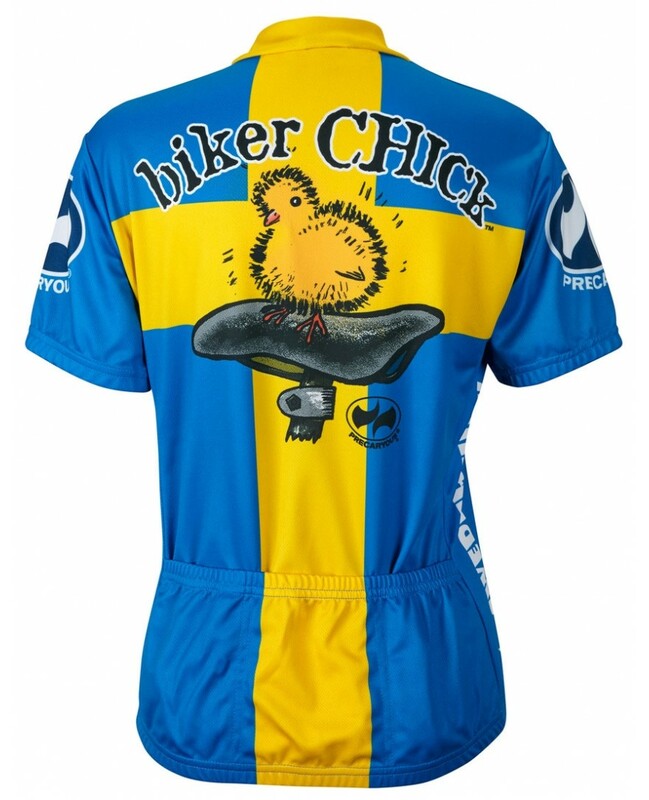 The Swedish Chick Women’s Cycling Jersey is made from 100% Polyester DrySport(tm) wicking fabric to effectively move moisture away from your skin to keep you cool and collected. Since our jerseys are made to look as good as they feel we hide the 14″ zipper to keep the pattern clean and elegant.